A direct continuation of the former season, this series again follows the story of Nozomi Yumehara and her friends from Precure 5. 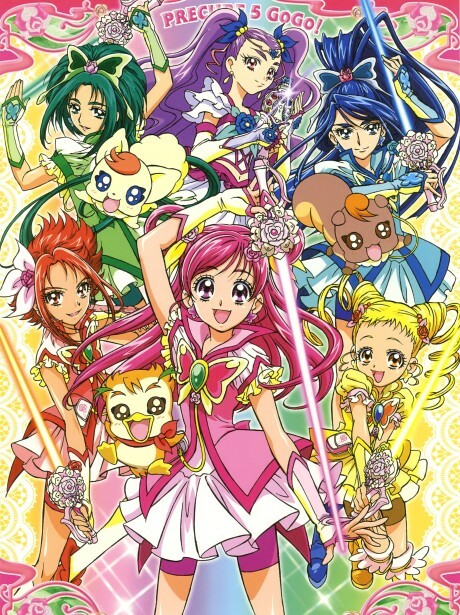 The girls who had formerly lost their powers and bade farewell to their friends Coco and Nuts from Palmier Kingdom are resurrected as Pretty Cure by the mysterious woman Flora who also wants them to find her in a place called Cure Rosegarden. To go there, they need the magic Rose Pact and the powers of the four kings of countries surrounding Palmier. But a dark organization called Eternal is also striving to get to Cure Rosegarden by stealing the Rose Pact. Luckily, Precure get helped by new allies: the delivery-boy Syrup who can change into a giant bird and fly them anywhere they want and the mysterious and beautiful fighter Milky Rose stand alongside Pretty Cure to protect what is really valuable.